Since I banned morning coffee from my life and switched it to tea, I have much more time to try new flavores. 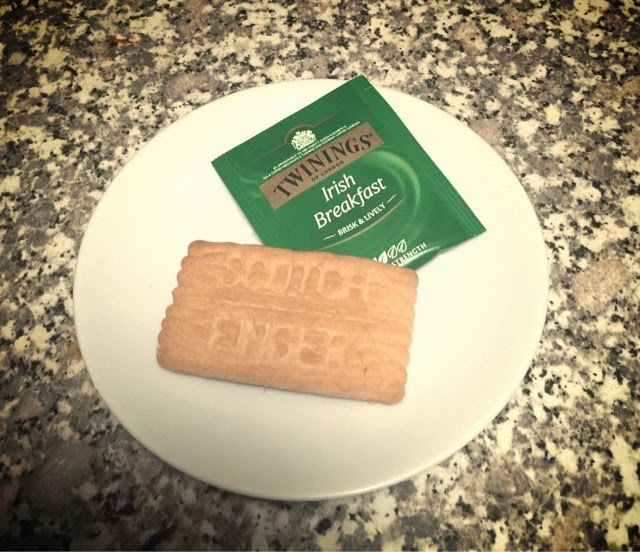 Today I'm drinking "Twilight-Irish Breakfast" with my scotch finger cookie. It is the best way to start a Samhain morning since it started as a Celtic celebration. So Cheers to my dead ancestors, you are invited for a cup of tea. P.S- I miss my teacups! I Need to find a Roy Kirkham collections in Perth or at least a true teacup.